Looking for something to do with the kids? Rent a free movie and pop some popcorn to keep them entertained on a hot afternoon! 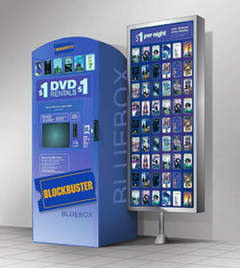 All you need to do is find your nearest Blockbuster kiosk and enter one of these codes for a FREE rental. Note: Normally these only good for $1 movies, not the newest releases. Also, remember to return your movie on time to avoid late fees.